Tennis fans never have to wait too long for another gift after the holiday season. The Australian Open takes place annually in January, kicking off the new year with the first of four Grand Slam tournaments. 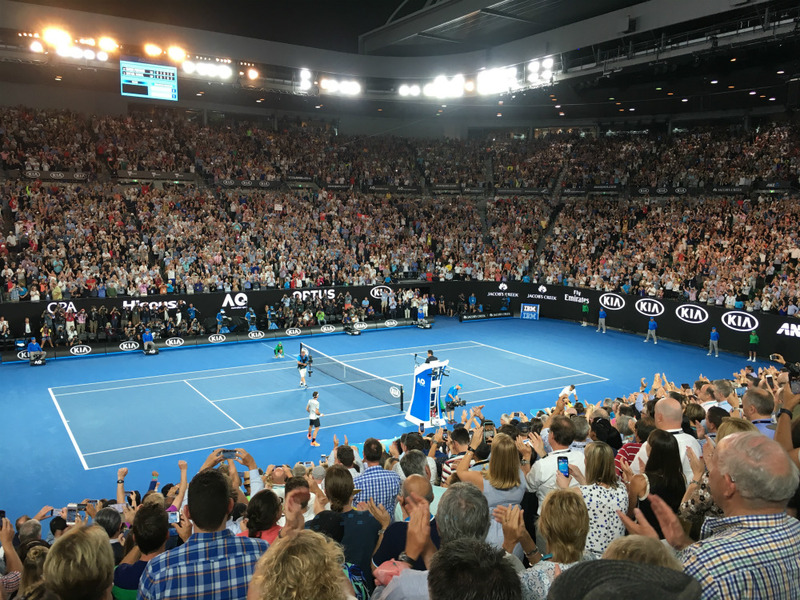 Melbourne, Australia serves as the host site for an event that set an attendance record last year for a Grand Slam with nearly 750,000 people attending. This year’s tournament runs from January 14-27 and will feature the most elite men’s and women’s tennis players from around the world. New this year will be the implementation of final-set tie-breaks. Matches which go the distance will be decided by a tie-break at 6-6 in the final set (set 3 for women and set 5 for men). This means every set will feature a tie-break if the set reaches 6-6. The difference between the final set and the rest is that the final one is a first-to-10 while the others are to 7. Tie-breaks also have to be won by 2, which means if it is tied at 9-9 in the final set tie-break, play will continue until someone is up 2 points (like 11-9 or 15-13). The Australian Open is played on a very recognizable blue hard court surface. Everything from ball speed and bounce trajectory to player movement is impacted by the type of surface they play on. The Grand Slam tournament is also known for its potentially extreme temperatures. Its three primary courts are each equipped with retractable roofs to help with these heat conditions. Temperatures can reach the 90s or even higher this time of year in Melbourne, so players must battle their opponents, as well as Mother Nature. ESPN and Tennis Channel have full coverage of this year’s event, with the men’s and women’s finals being shown on ESPN. Matches will also be live streamed online. Roger Federer will look to defend is men’s title, while Caroline Wozniacki will attempt to reclaim her women’s title from last year.